The SPADOC is a 1990s-era system that reached the end of its planned service life. The USAF intends to replace SPADOC with modern systems in a bid to simplify operations and enable greater space situational awareness and collision avoidance capabilities, including space debris tracking. However, the development of the new system is expected to take several years before it becomes operational. Raytheon Intelligence, Information and Services programme director Dave Fuino said: “Within just a few months we brought together a team, developed the technology to modernise it, got it on contract and held a series of demos to prove it worked. We went from concept to proving the solution in less than a year, which is really remarkable. Under the modernisation project, Raytheon and AFLCMC will use modern computer hardware to emulate SPADOC’s capabilities, providing the same functionality as the existing system. Figure 1 (Credit: US DoD/Gail Breyman). Known as SPADOC Emulation Analysis Risk Reduction (SPEARR), the emulated environment is expected to provide a greater sustainable system that requires minimum maintenance and offers significant reductions in power and cooling consumption. The reduced consumption is due to the integration of SPADOC’s capabilities into two small server racks instead of being spread over 1,000ft² of an ageing, analogue computer system. 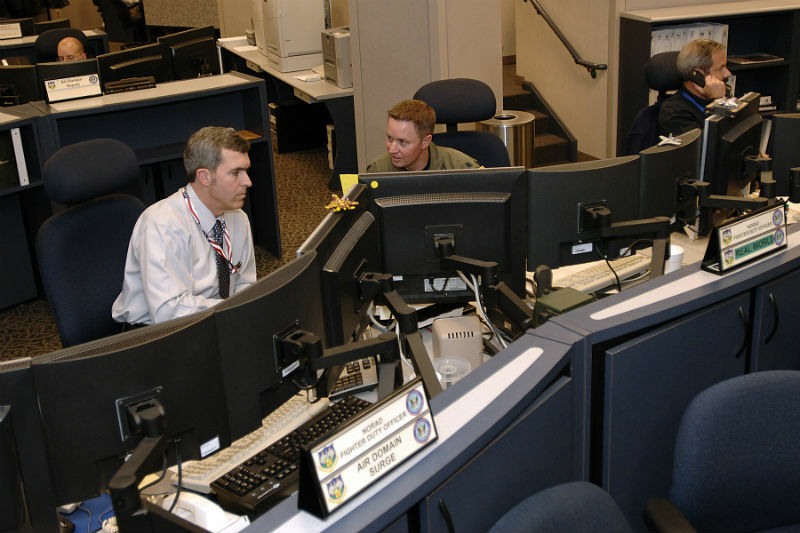 US Air Force Legacy Space Branch chief Bob Taylor said: “SPADOC provides critical space-tracking capabilities that we must sustain and maintain while we wait for new systems to come online. Taylor added that the team used proven emulation technology to find a solution and reduce obsolescence risk. Raytheon and AFLCMC will now focus on evaluating options for fielding SPEARR. Other partners in the project include a.i. solutions, Zivaro and E&M Technologies, and emulation companies Fundamental Software and M2 Technologies.